This has been an exciting year for photographers with the landscape shifting quite a bit with many new cameras releases following the market’s demand towards mirrorless cameras. 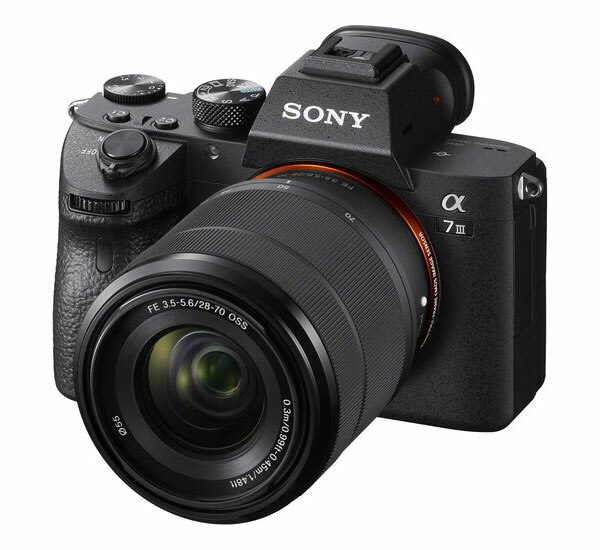 The one camera that set a new standard for affordable quality, was the Sony A7 iii camera (B&H). With this 24-megapixel mirrorless camera, Sony brought flagship quality and features to an affordable price level. In this review of the Sony A7 iii, we will look at the things that put this camera at the forefront. Sony went all-out with this camera to make it a feature-rich professional level full-frame camera at a very competitive price. With that, it looked like the other camera manufacturers had a serious catch-up game ahead of them in2018. Nikon released their Nikon Z7 and Z6 cameras, and Canon joined the fray with their Canon R mirrorless camera. 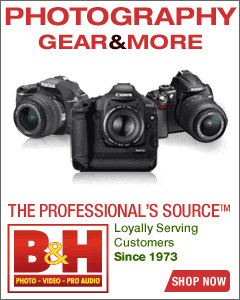 Fuji released the X-H1 as well as the Fuji X-T3. Panasonic announced that they will be releasing a full-frame mirrorless camera as well. Even though Nikon and Canon knew what Sony had on the market with the Sony A7 iii, their releases still didn’t quite match up to the Sony A7 iii – this camera is just that good! 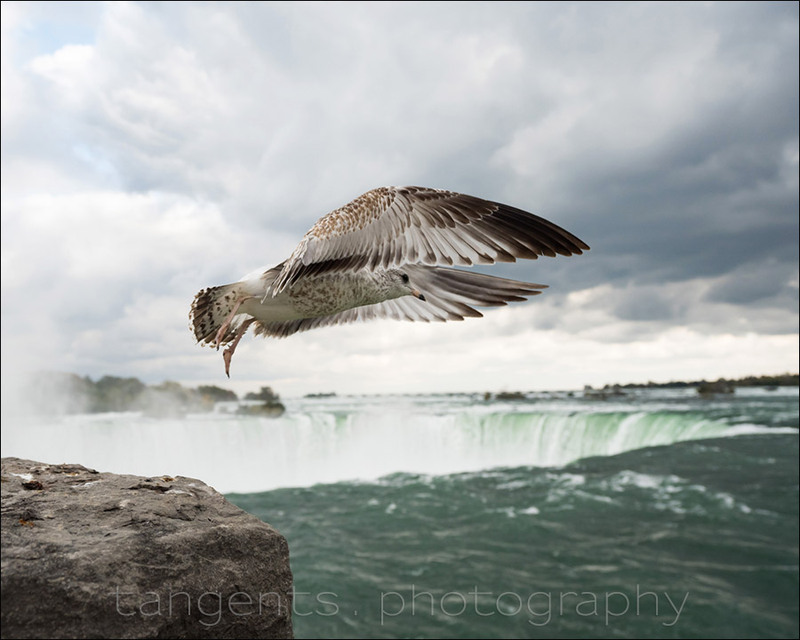 The main photo here, of a gull taking off with Niagara Falls in the background, was taken at 1/2000 @ f/4 @ 1600 ISO. I bumped the ISO to get that shutter speed to freeze movement. 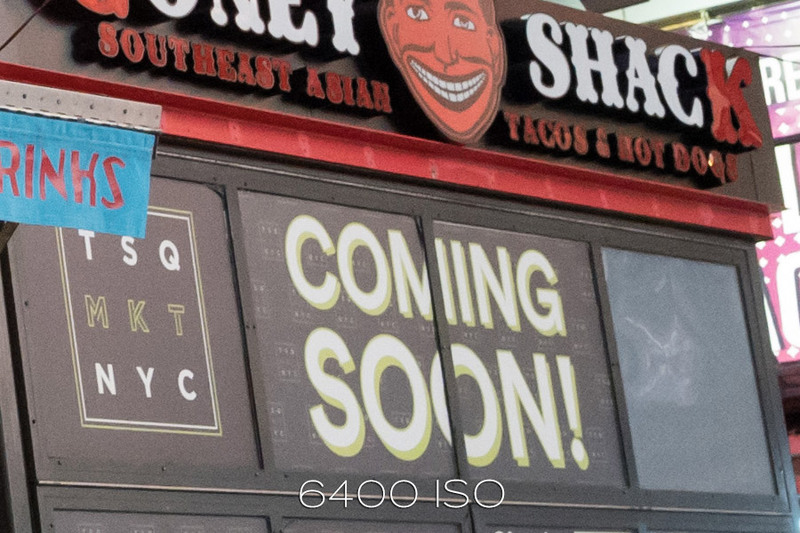 Sony A7 iii camera (B&H) with the Sony 16-35mm f/2.8 GM (B&H), with the lens zoomed to 26mm, The photo was cropped to 5×4 aspect ration to post here. I have been using the camera for a few months now, and have taken it on various trips with me, and to shoot professional events, as well as shoot video as well. This is the main reason I bought this camera – I wanted a 4K-capable video camera that easily fit onto a gimbal. Shooting a music video for the band, Cut Like This, I couldn’t wait to at least show a snippet of what we got – here’s a slo-mo video segment that I love … a close-up of Brian’s guitar work. This was shot with the Sony A7iii and Sony 16-35mm f/2.8 GM (B&H) on the Ronin-S gimbal (B&H) …. slowed down 4x. 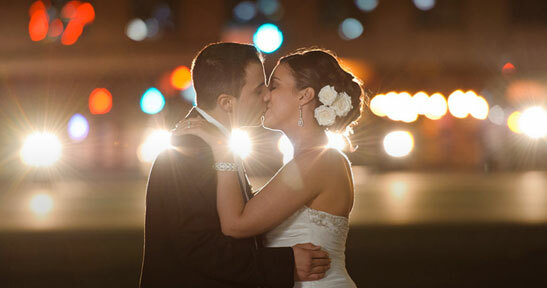 Shot at f/2.8 and 3200 ISO and Auto WB. The light levels were low and I wanted to keep the shutter speed to 1/250th to keep with the 180 degree rule since I was shooting at 120fps. For this video, I had a Profoto B10 flash (B&H) that I used as a video light on a light-stand, to help augment the dim light in the elevator. The Auto WB worked out really well for the fluorescent lighting in the elevator. Better than my guess would have been. So that was impressive. What is even more impressive, is how the camera tracked focus at f/2.8 as I moved along the fretboard. I was shooting in AF-C mode, with Wide tracking. The camera offers 4K video at 23.98/25/29.97 fps, as well as 1080p video up to 100/120 fps. 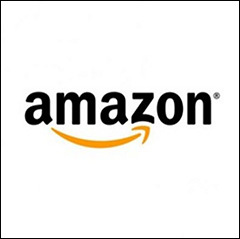 This means you can shoot for 2x or 4x slow-motion on the 1080p format without loss in quality. With 4K you have the limit on frame rate unfortunately. Even though 4K is a big overhead on disc space and computer resources, I often shoot 4K because it allows me to crop the video afterwards for 1080p output — this has saved me at times where I had to remove someone or something distracting from the background with a slight crop. Still looking at how the camera handles while shooting video – here is a test clip that I shot of Alix Marie, a model and actress. Every segment here except one, was shot with the razor-sharp Sony FE 85mm f/1.8 lens (B&H). Again, I shot this at 120 fps (and therefore 1/250 sec) to be able to slow the video down 2x or 4x with no loss in quality. 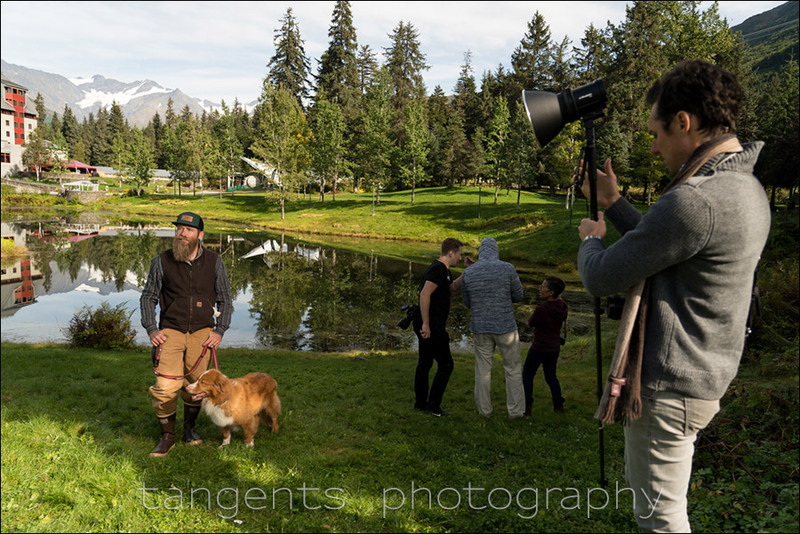 I shot these video segments at f/2 …. and even at such a wide aperture on this focal length, the camera (mostly) tracked really well! Well enough to give us a surfeit of usable segment to put together as this promo reel. In the same way, the autofocus really works well for stills photography. Even more so when you implement Sony’s renowned eye-focus that the newer cameras implement. 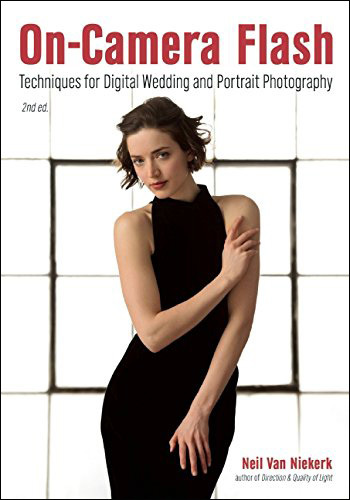 While the Sony A9 is still better than the A7 iii when it comes to the speed of auto-focusing, the A7 iii delivers on a professional level — it just works so well, and makes a photo shoot easier, especially where movement is involved. 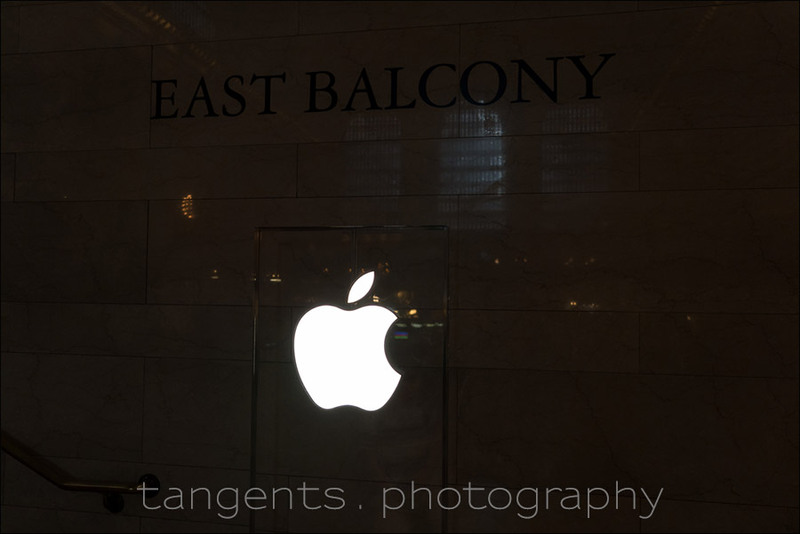 I positioned Anastasiya on these steps inside Grand Central because there was a handy light source in this normally dimly lit interior — this sign for the Apple Store! Just enough extra light to make the difference. I had her stand a step or two down, so that the light came in from an appropriate angle. 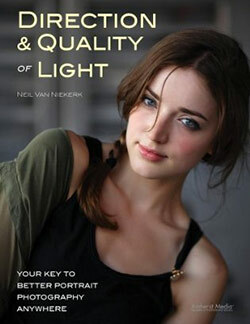 Always considering the direction & quality of light! That shutter speed of 1/100 with an 85mm lens is really borderline hand-holdable … but this isn’t that much of a concern when the camera offers 5-axis in-camera image stabilization. The beauty of in-camera stabilization is that this works for every lens you mount on the camera. 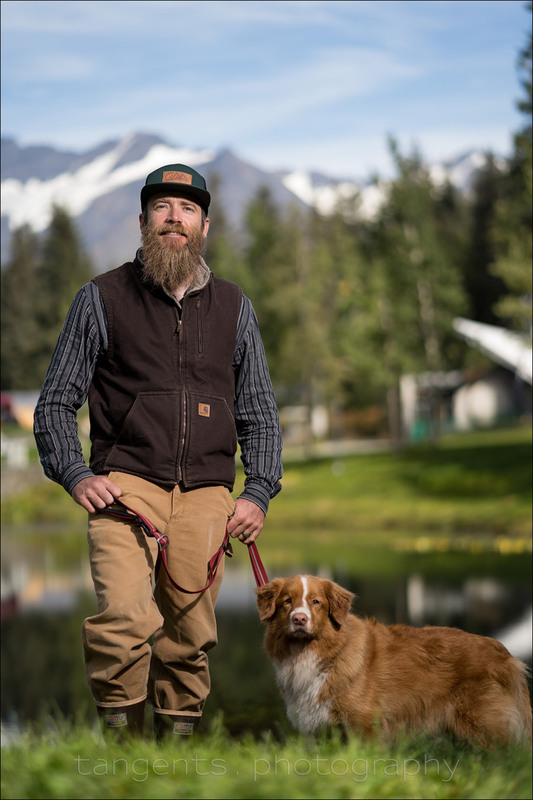 This photo of Fundy and his handler, were taken during the promotional event that Profoto had arranged when they invited 40 photographers (including myself) to Alaska for the release of the Profoto B10 flash. Fundy was one of several models they had there for us to test the B10 flash out on. For both these main images I used the Sony FE 85mm f/1.8 (B&H) so that I could use f/2 for the wafer-thin depth-of-field to isolate them from the background. 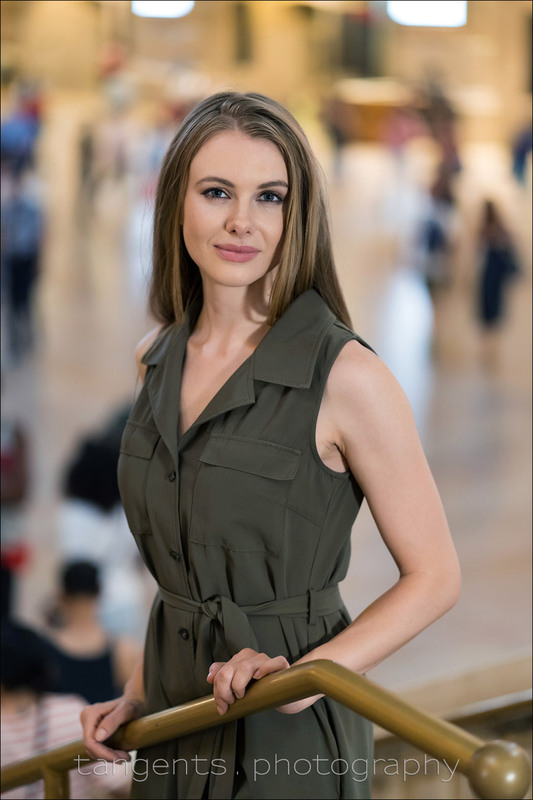 This pushed the shutter speed up to 1/2000 which is where the Profoto B10 flash (B&H) kicked in with enough power to balance them against the brighter sun-lit background. Again, eye-focus on the handler worked really well. At the moment, eye-focus doesn’t work on animals, but I am sure this is something Sony will address in a next generation of cameras. 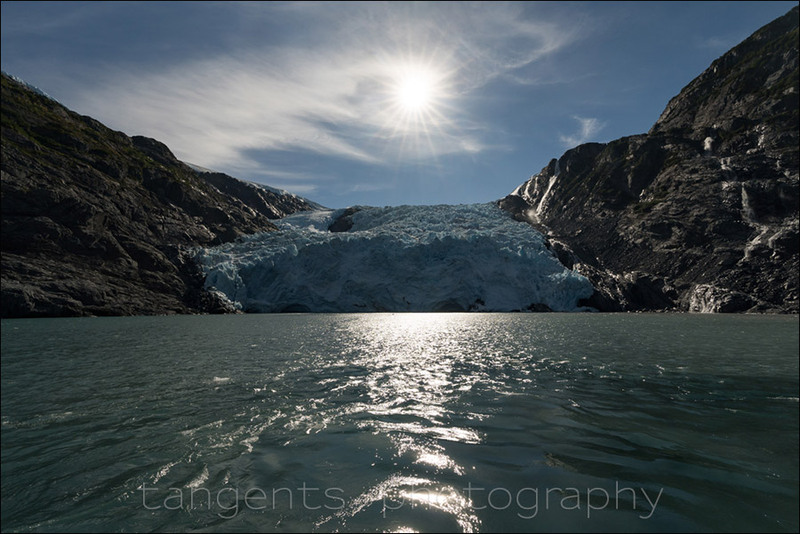 One of the reasons I decided to take the Sony on my trip to Alaska is that I wanted a professional-level camera that is more compact … even though added the bulky Sony 16-35mm f/2.8 GM (B&H) for landscapes. I bumped up the ISO setting to push the shutter speed high to help give me crisp photos even with the movement of the boat. I didn’t have to rely solely on the in-camera stabilization for this because I had the headroom with my ISO settings. For this photo, also shown at the top of the article, I bumped the ISO to get that shutter speed to freeze movement of this gull taking off. That’s Niagara Falls in the background. 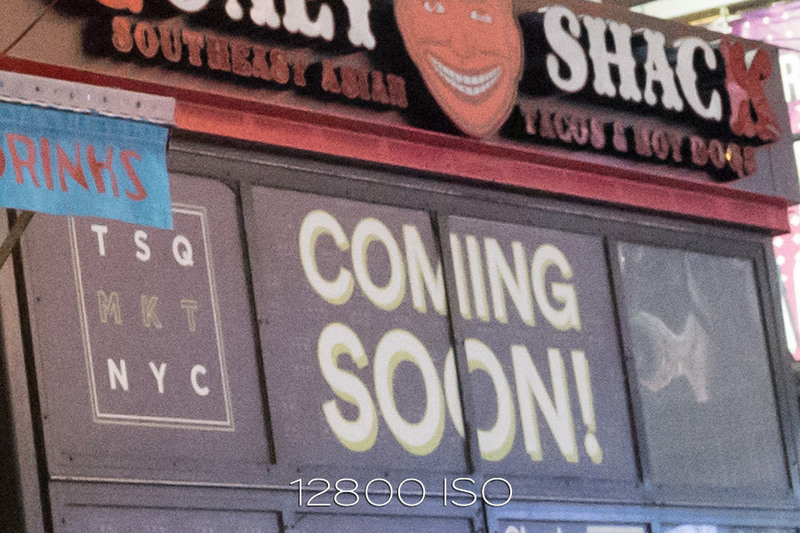 The Sony 16-35mm f/2.8 lens was zoomed to 26mm, but cropped to 5×4 aspect ration to post here. 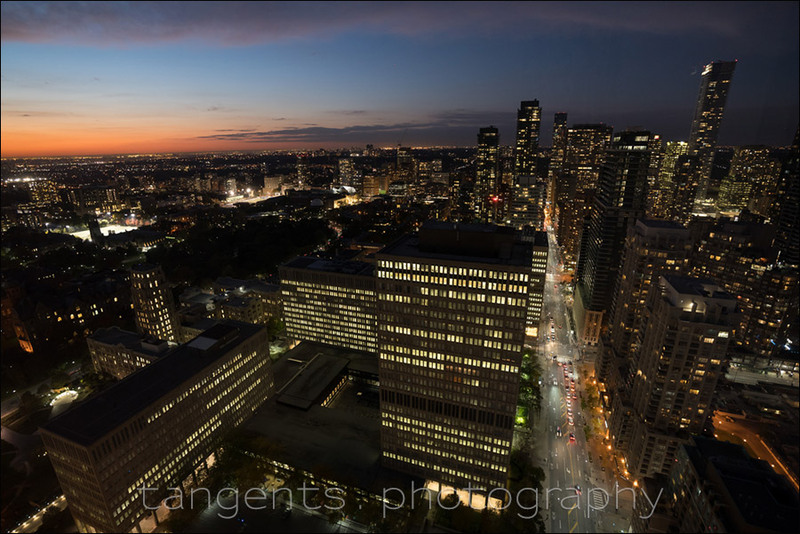 The camera was handheld for this photo of Toronto as the sun was setting. Handholding the camera at that slow shutter speed isn’t as impressive as it might first appear — the ultra-wide angle does help mitigate the appearance of camera shake. That said, the built-in stabilization of the Sony A7iii is a welcome feature. 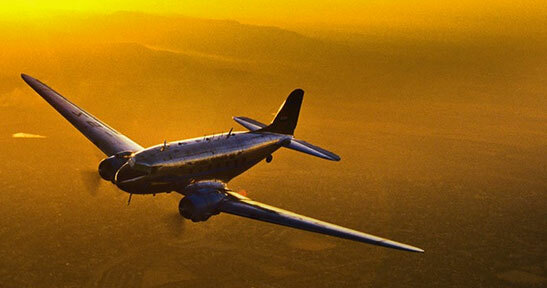 It ensures more images are sharp than would have been without it. 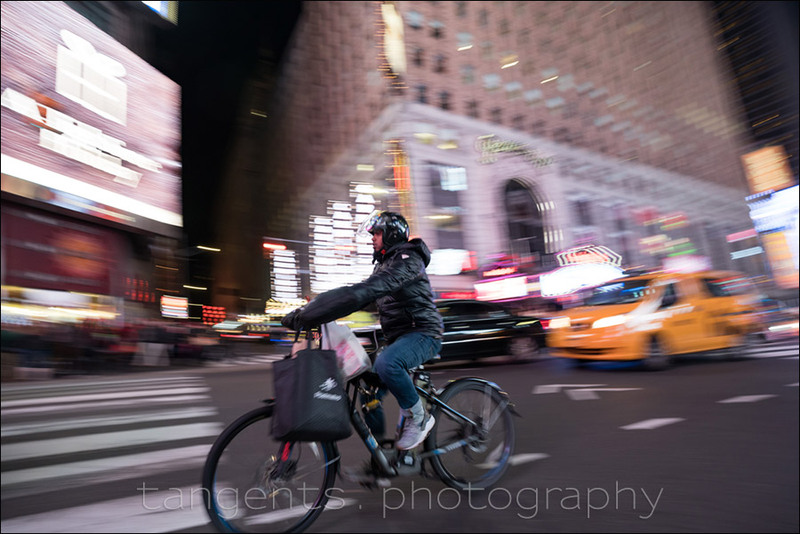 Times Square, New York, late at night – panning the camera with this cyclist. 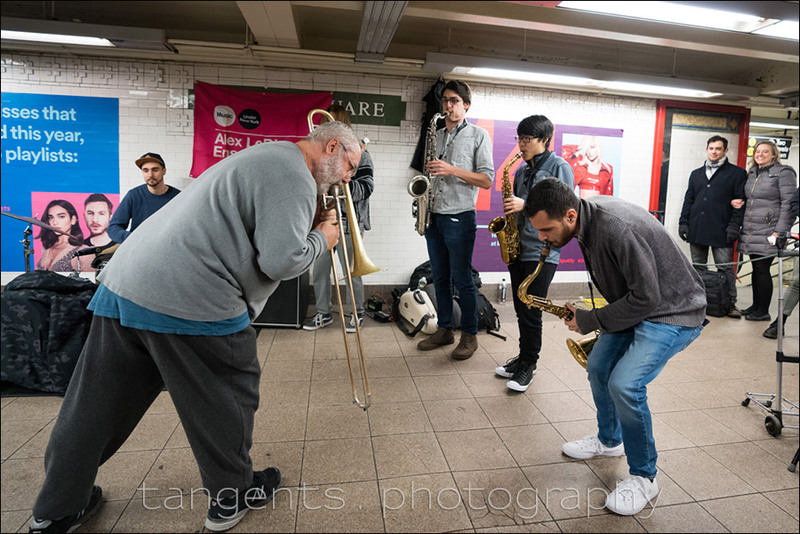 Buskers in Union Square, Manhattan – the energetic Alex LoDico Ensemble entertaining passersby. I cleaned up the WB in adjusting the RAW file – the Auto WB was a touch warmer than I preferred. Below, when you click on the drop-down menu, you’ll see three 100% crops of images taken at various ISO settings. 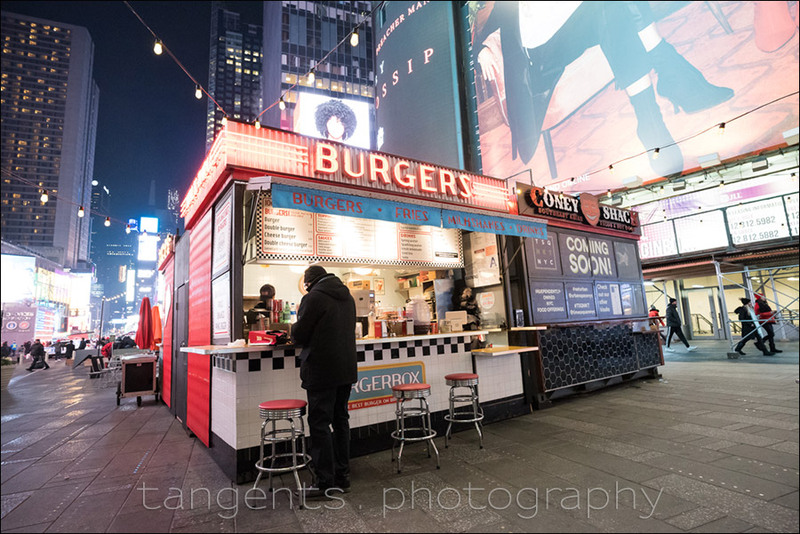 One drawback of shooting here is that with the unpredictable neon lights in Times Square, exact repeatability isn’t really possible from shot to shot. That said, I tried to keep it as close as possible in exposure by timing my shots. Even with that variable thrown in, these 100% crop images will give you a good idea of what the high-ISO settings look like in comparison. To my eye, 3200 ISO is really good. Barely discernible noise, and I would happily use it at this ISO setting. Going one stop up, 6400 ISO looks very usable too. At 12800 ISO you see the noise starting to creep in – it’s at this point where you really have to make the decision whether you want to sacrifice some shutter speed and depth of field for a lower ISO, or not. Overall, this camera is a stellar performer at high ISO settings. 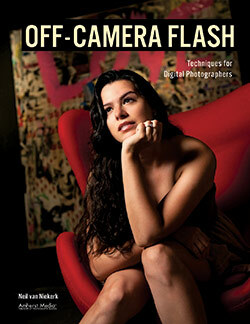 For me, I would rate this the camera of the year – it is loaded with features at a good price point. 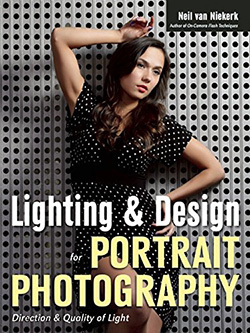 This is a great time to be a photographer! We are inundated with choice from all sides. Now we just have to create more! Love what I see on the high iso noise performance. I didn’t know they were performing that well! The video that comes out of that thing is what makes me want to switch. I feel like I’m being jobbed on the video side by Canon. I was pleasantly surprised by the results from the video shoot with the band – Auto WB at 3200 ISO, and the quality looks crisp! 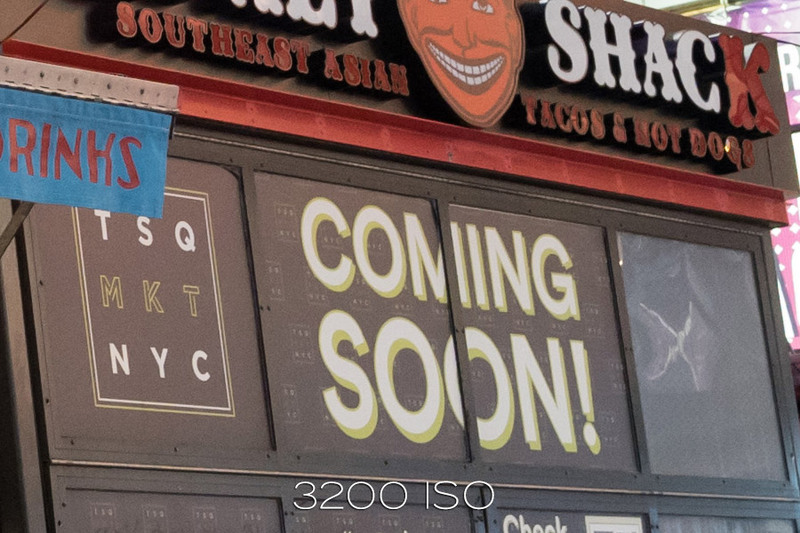 I would shoot at 320 0ISO again without hesitation … and it looks like 6400 ISO is very usable too. Just picked up one of these, I originally intended to upgrade to the 5D IV (from my 6Ds) as I wanted to move to a camera with dual card slots for wedding work. But couldn’t justify spending over £3k just for the extra card slot when a camera like the A7iii exists which will let me use my existing Canon lenses via an adapter. Definitely the camera of the year! What a great product by Sony.